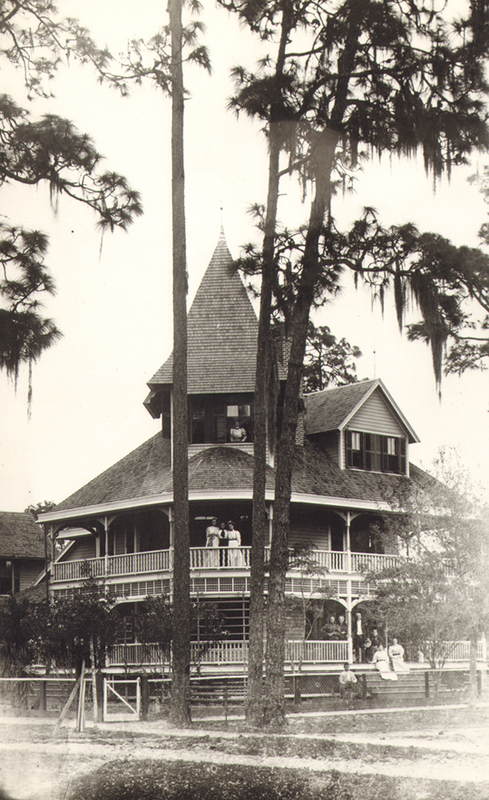 Isabella’s niece Grace Livingston Hill kicked off 1919 on a high note. 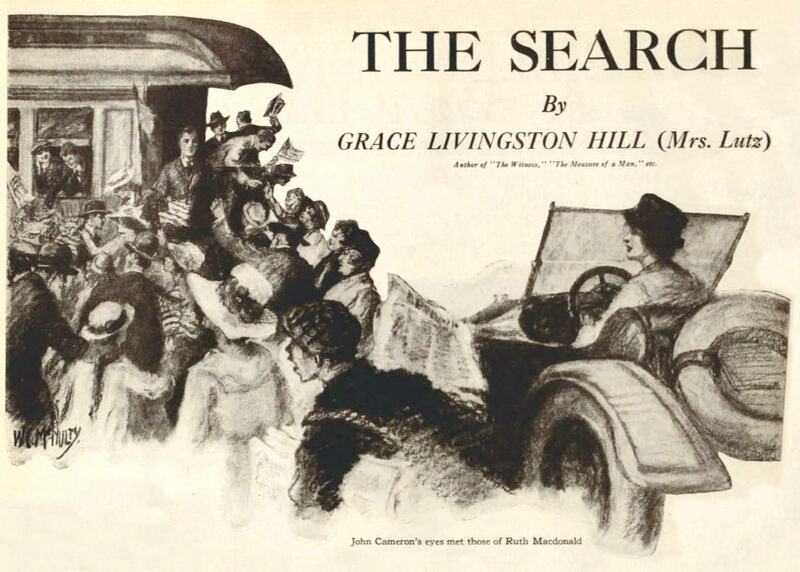 That was the year Grace’s novel The Search was published as a serial in a popular Christian magazine. 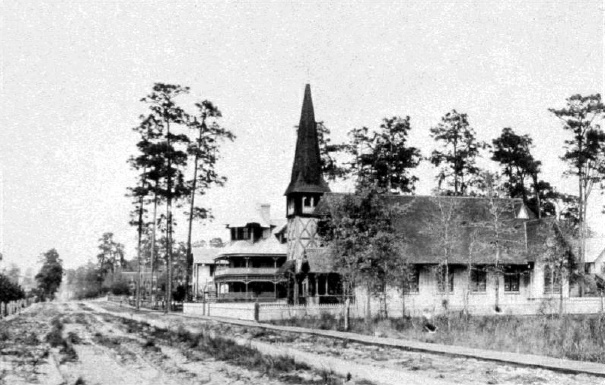 The first chapter appeared in the January 1, 1919 issue. Here’s the announcement the magazine ran the month before to notify readers about the upcoming serial (click on the image to see a larger version). Although it’s fun to discover Grace’s stories in early newspapers and magazines, it’s even better when they’re accompanied by illustrations by the leading artists of the day. 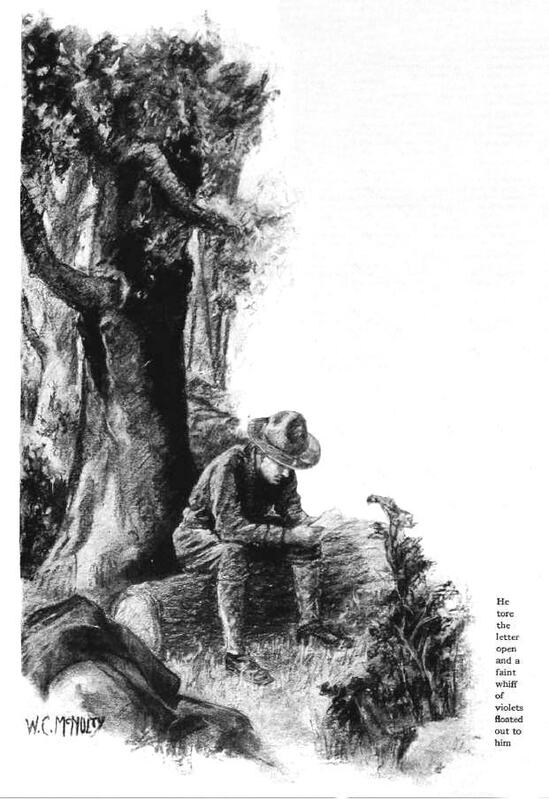 Artist William Charles McNulty (whose pieces are included in collections at The Metropolitan Museum of Art) illustrated three scenes from The Search for the magazine. 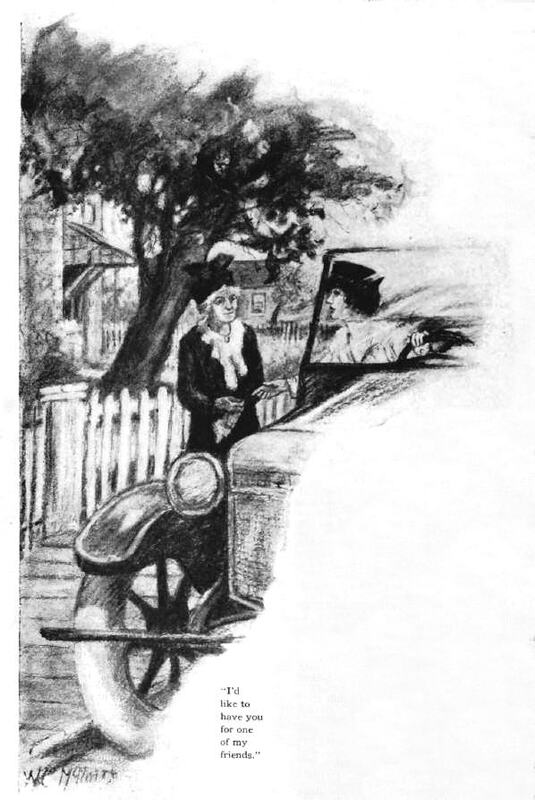 McNulty’s illustrations add a rich sense of time and place to the story, from the old-fashioned automobile Ruth drove, to the characters’ clothing, and the quiet place John found (in chapter 4) to read Ruth’s letter. 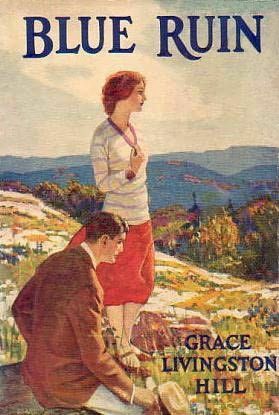 Later that same year, The Search was published in book form by Lippincott, and was well received by Grace’s fans; but the magazine version remains special, because of its illustrations. If you haven’t read The Search, you’re in luck! You can read the e-book for free on your tablet, phone, Kindle or computer! Much has been written about Isabella’s first book, Helen Lester, and how it came to be published. Less has been written about her last novel, An Interrupted Night. 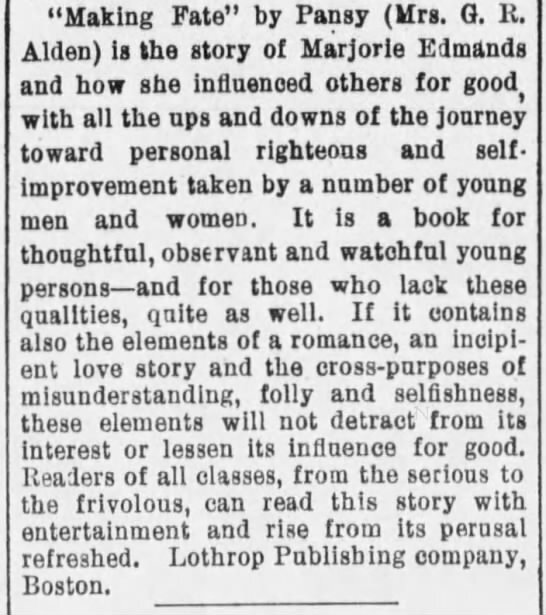 Here’s an interesting fact about the book: in the same way her first novel Helen Lester was published with the help of her best friend, Theodosia Toll Foster, Isabella’s last novel was published with the help of her beloved niece, Grace Livingston Hill. Here’s how it happened. 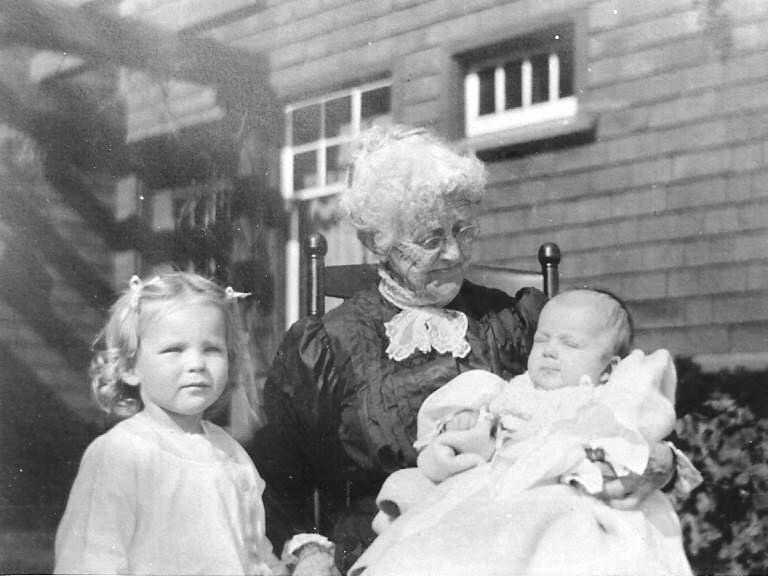 In 1924 Isabella was 82 years old. 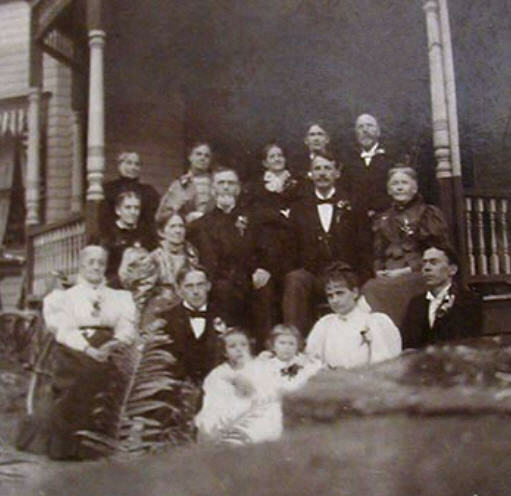 During that year she suffered great loss: her dear sister Marcia, her husband Ross, and her son Raymond all died within months of each other. 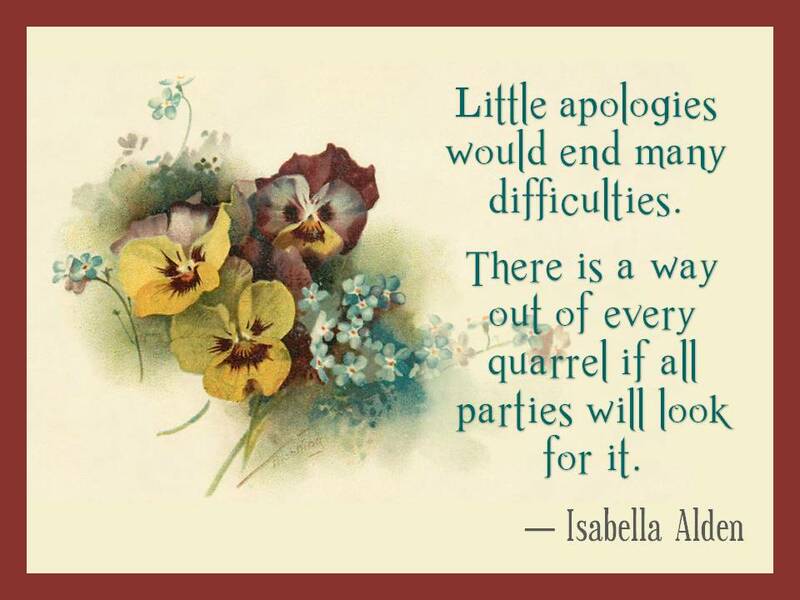 Isabella’s writing took a back seat as she made her way through that difficult time. 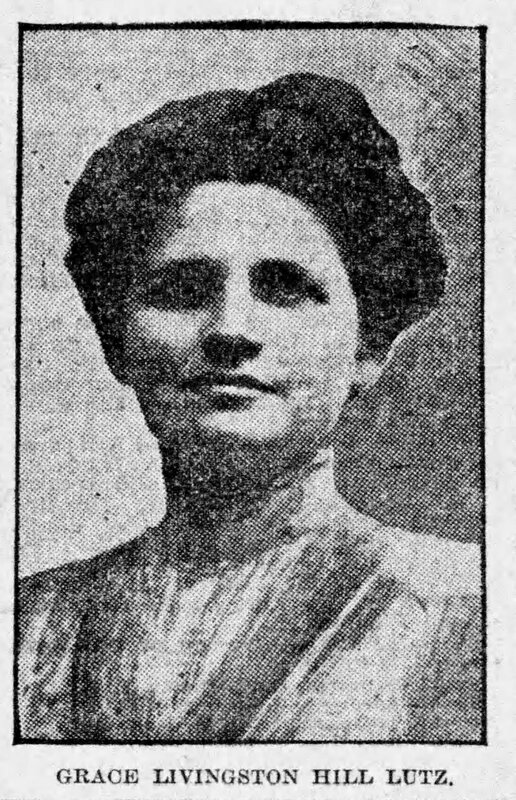 Two years later, in 1926, Isabella was seriously injured in an automobile accident in Palo Alto, California, where she was residing. She lived with the pain of her injuries for years afterward. Then, in 1929, due in part to those old automobile accident injuries, Isabella fell and broke several bones including her hip. From that point on, Isabella was confined to a wheelchair and in constant pain. Still, despite everything she had been through, at the age of eighty-seven she had one more story to tell. 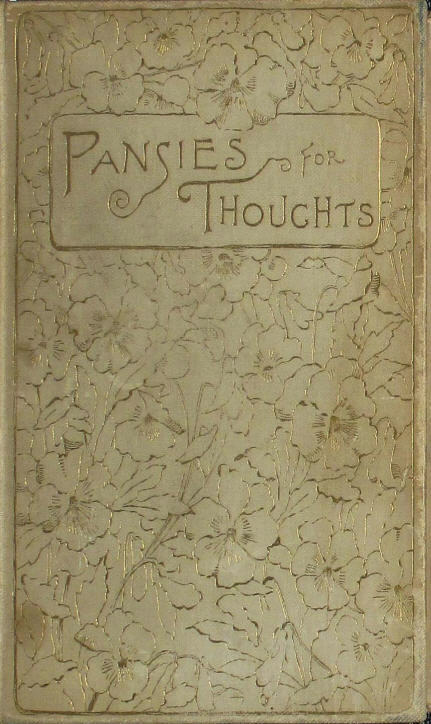 Between intervals of constant pain and visits from friends and well-wishers, Isabella began writing her last novel. But even with her best efforts, she struggled to complete the story because, as she said, her body . . .
. . . was unfit for the work that needed to be accomplished. 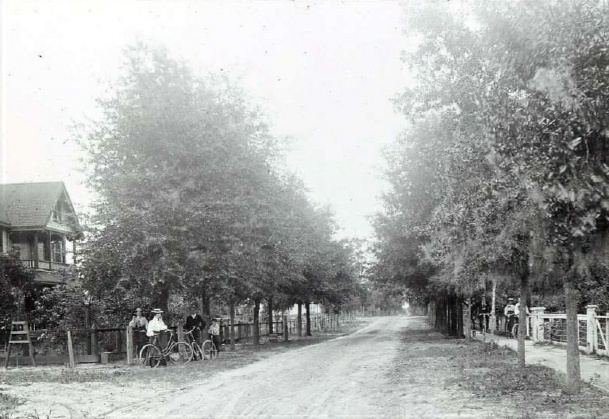 Finally, determined to get her promised manuscript into the hands of the publisher, Isabella called upon her niece Grace Livingston Hill for help. I approach the work with a kind of awe upon me that I should be working on her story! If, long ago in my childhood, it had been told to me that I should ever be counted worthy to do this, I would not have believed it. Before her I shall always feel like the little worshipful child I used to be. But Grace took up the task, and helped her Aunt Isabella — by then confined to her bed — finish the book. 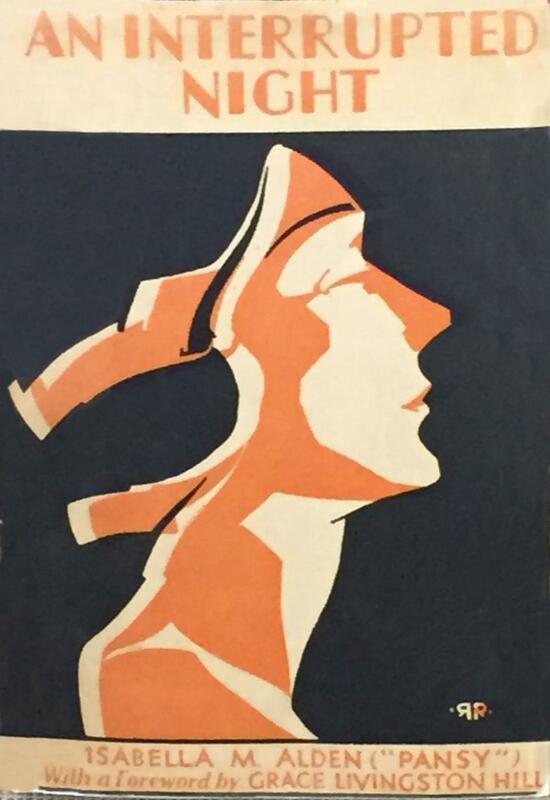 The cover for Isabella’s 1929 novel, An Interrupted Night. The novel was published by J. 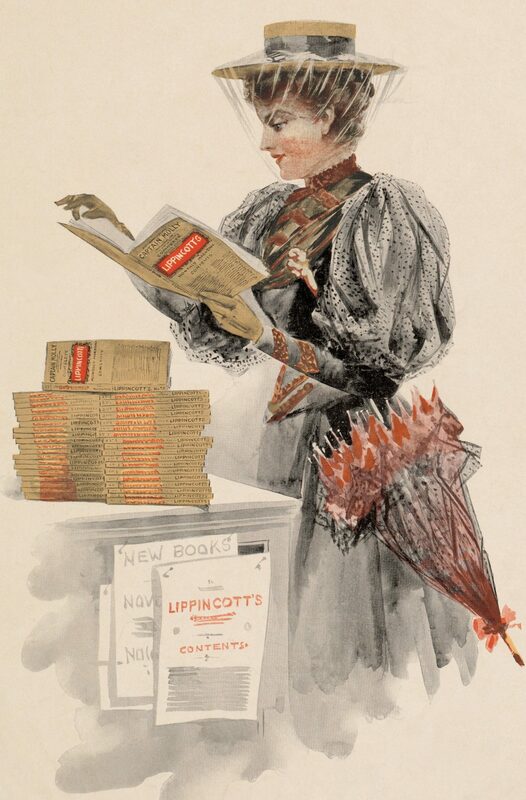 B. Lippincott Company in 1929 and received very favorable reviews. 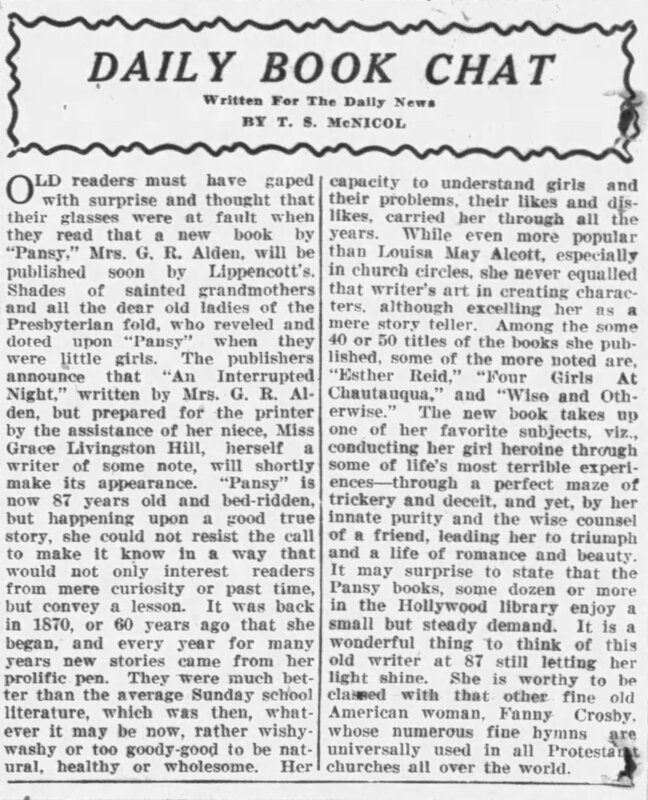 Old readers must have gaped with surprise and thought that their glasses were at fault when they read that a new book by Pansy, Mrs. G. R Alden, will be published soon by Lippincott’s. Shades of sainted grandmothers and all the dear old ladies of the Presbyterian fold, who reveled and doted upon Pansy when they were little girls! That’s quite a beginning to a book review, isn’t it? Although the review begins with a rather sarcastic tone, it ends on a more respectful note. You can read the entire review by clicking here or on the image below. Because it’s still protected by copyright, we can’t make An Interrupted Night available to you, but copies of the book do surface in libraries and book stores on a fairly regular basis. If you find a copy of An Interrupted Night, you’ll be treated to a marvelous story about Mrs. Dunlap and her efforts to convince a young woman to abandon her plans to elope with a man who seems, on the surface, to be her ideal mate. It’s a Pansy story in the truest sense, with a wonderfully sweet ending, engaging dialog throughout, and important life lessons for her characters —and readers! — to learn along the way. 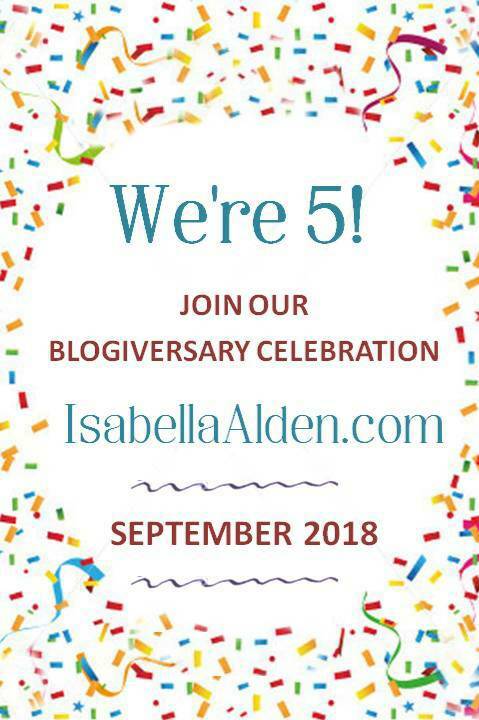 This is the last post in our Blogiversary Celebration! Leave a comment below or on Isabella’s Facebook page to be entered in a drawing for a $25 Amazon gift card! We’ll announce the winner tomorrow. 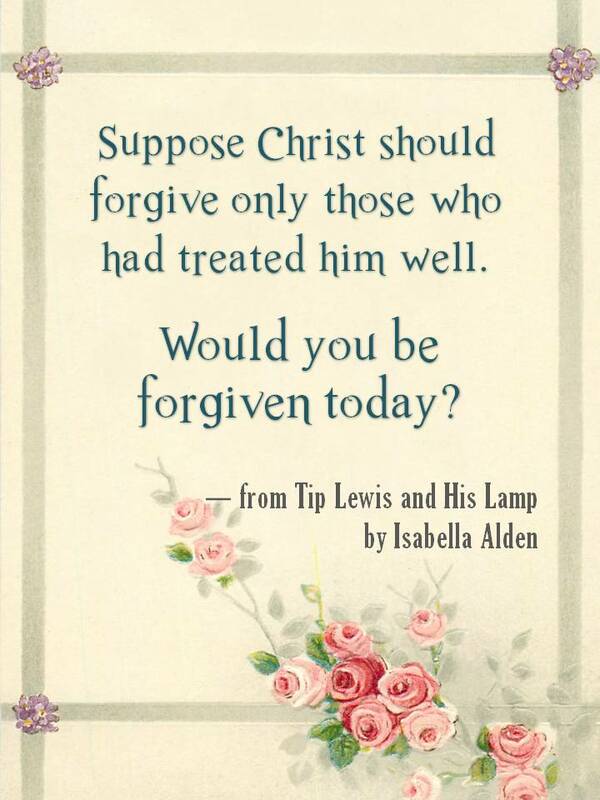 A Grace Livingston Hill Free Read! 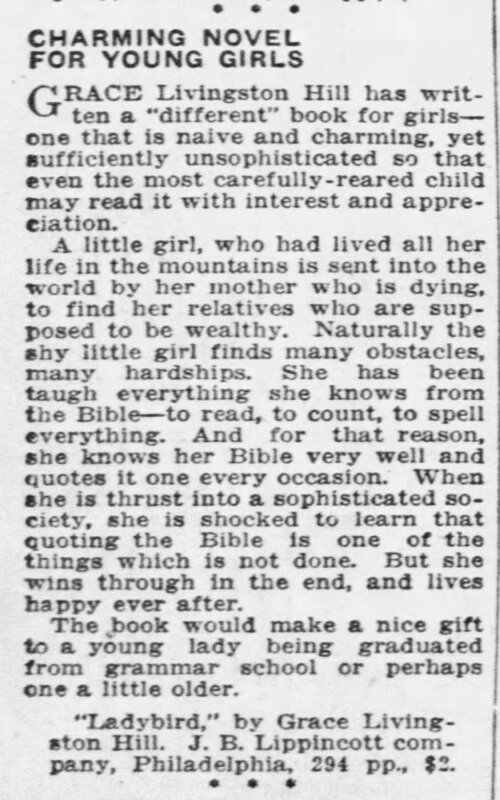 This short story by Isabella’s niece, Grace Livingston Hill, first appeared in a Christian magazine in 1917. In “A Journey of Discovery” Louise Hasbrouck knows what everyone expects of her. She just received an offer of marriage from Halsey Carstairs, one of the city’s most eligible bachelors. Louise should feel honored and happy; instead she feels restless and anxious to talk to her old friend, Cecilia, who became a bride herself just two years before. But when Louise arrives at Cecilia’s sweet little cottage in the country, and sees the life she leads away from the city’s whirling social scene, Louise begins to question the path society has plotted for her. Should Louise accept Halsey’s proposal, or will she find the strength to follow her heart? 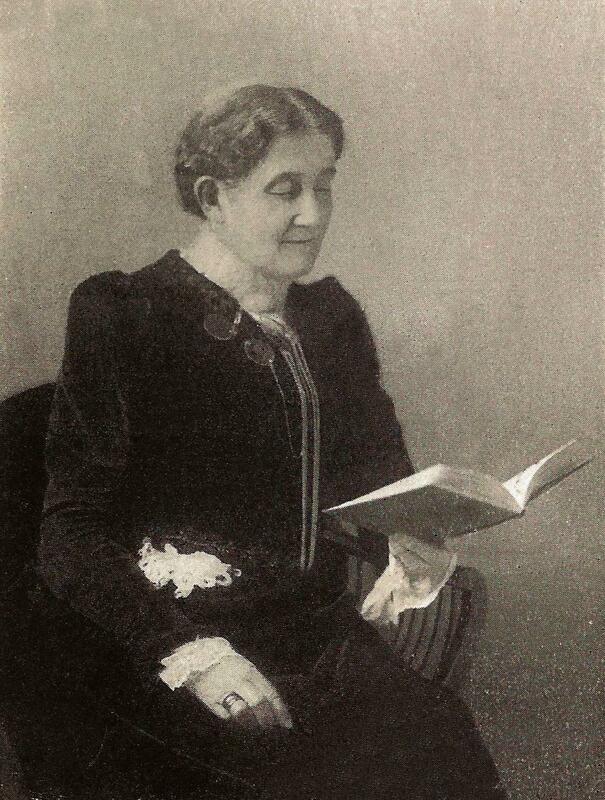 Many people who love to read Isabella Alden’s books also enjoy the novels written by her niece, Grace Livingston Hill. If you’ve ever searched for some of Grace’s titles, you’re not alone. Used copies of her novels are hard to find. If they are listed for sale on Internet sites, such as Ebay, fans immediately snap them up. The column shared readers’ advice on a variety of topics, and gave readers a chance to ask or answer questions. 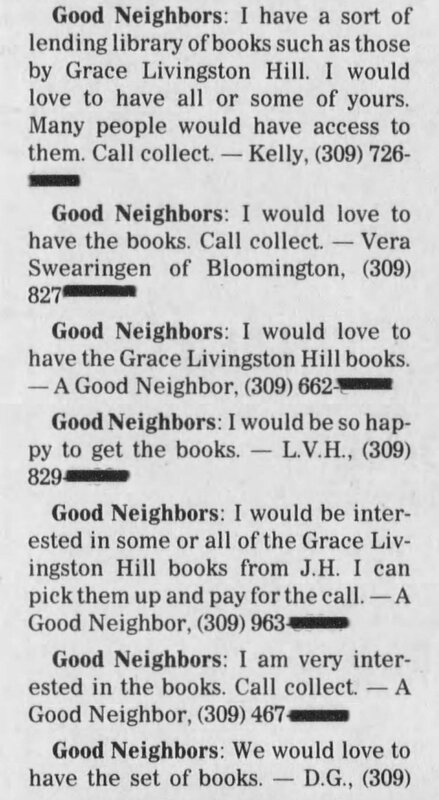 You can tell there was a little bit of a bidding war going on, with some readers offering to pick the books up and pay for telephone calls (at a time when there were “toll” charges for calling a number in a different area code). 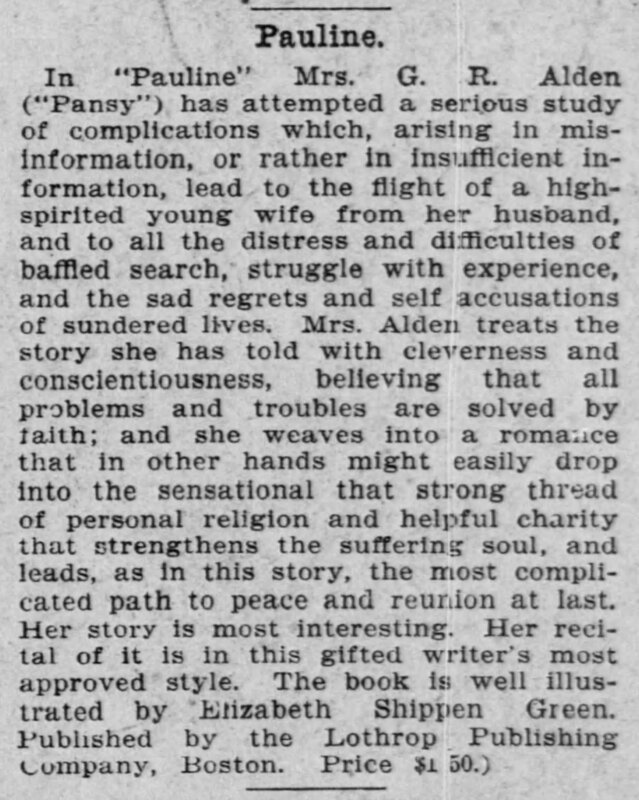 It sounds like the newspaper was quite surprised to learn so many people were interested in novels that were written (at that time) almost 100 years before. 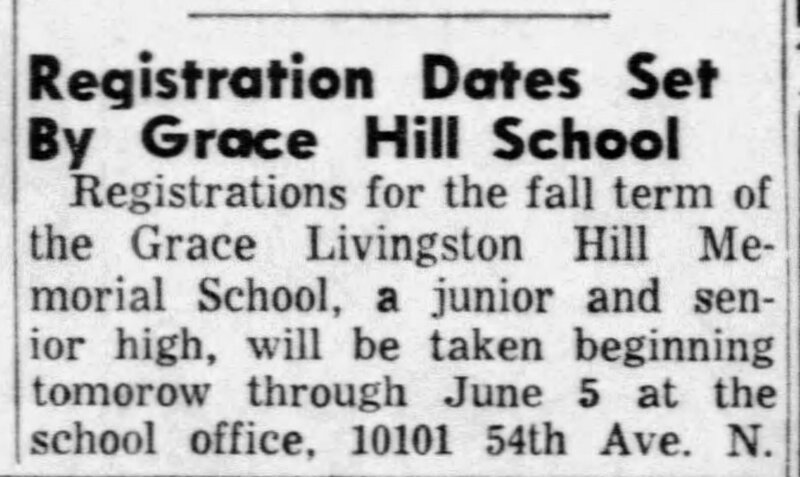 And yet, Grace Livingston Hill’s books are still popular! How about you? 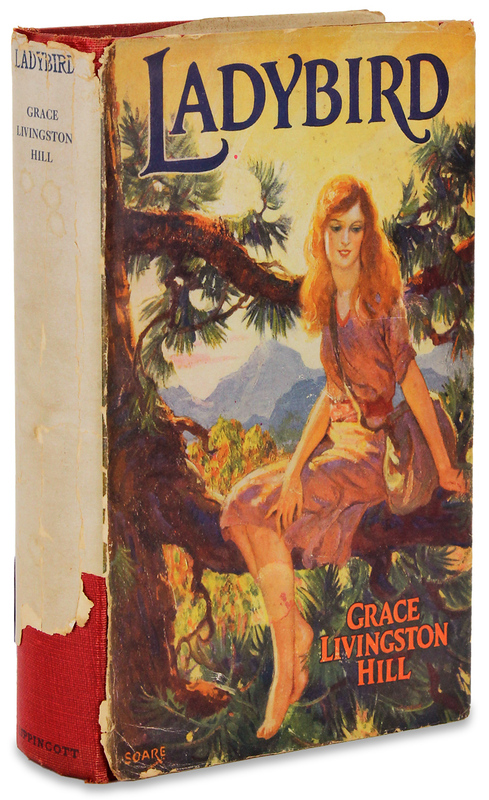 Do you read and collect Grace Livingston Hill novels? Do you have a complete collection? What are the methods you use to hunt down copies of her books? 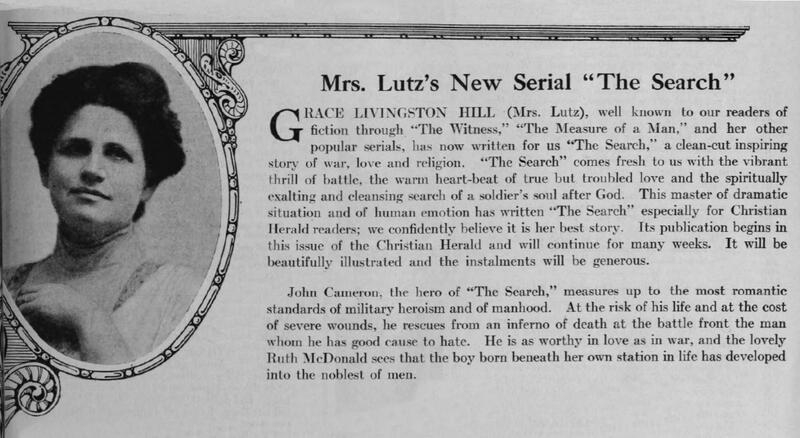 In 1915 Isabella’s niece, writer Grace Livingston Hill, was profiled in The Book News Monthly magazine. 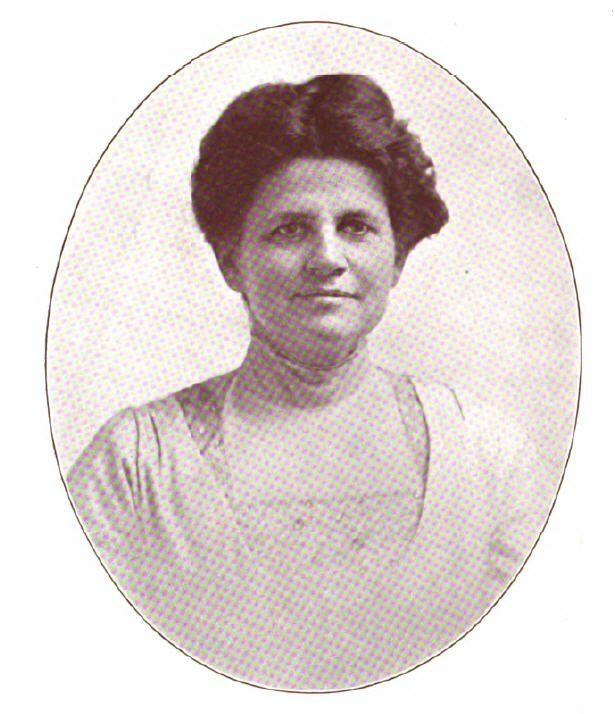 A photograph of Grace Livingston Hill, published in the 1915 Book News Monthly interview. 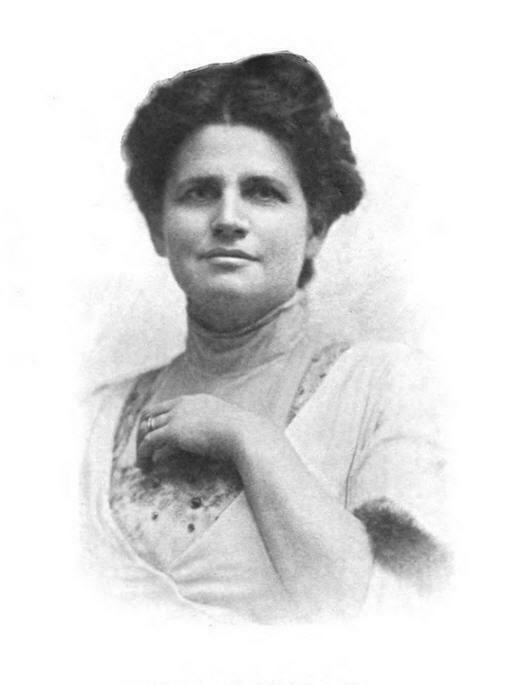 The magazine printed two articles, the first of which was written by Grace’s long-time friend Hilda von Markhen. 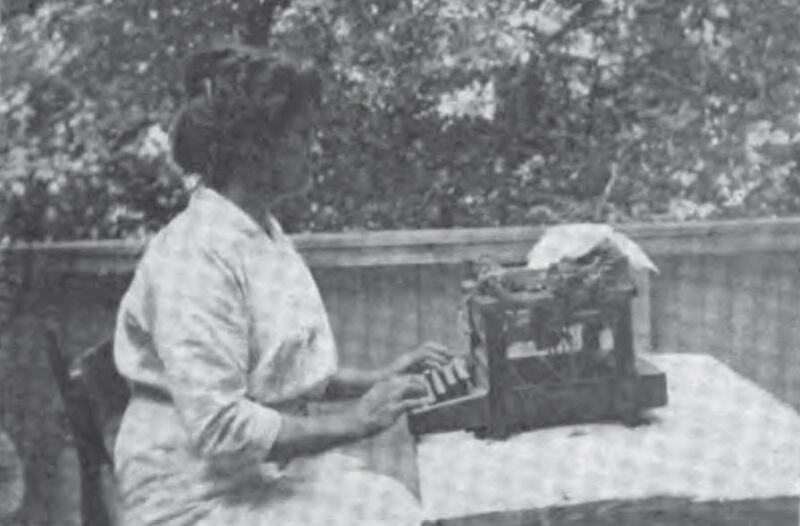 Hilda described Grace’s “workshop” for writing: an ample, business-like desk at the sunshiny side of an upstairs room. 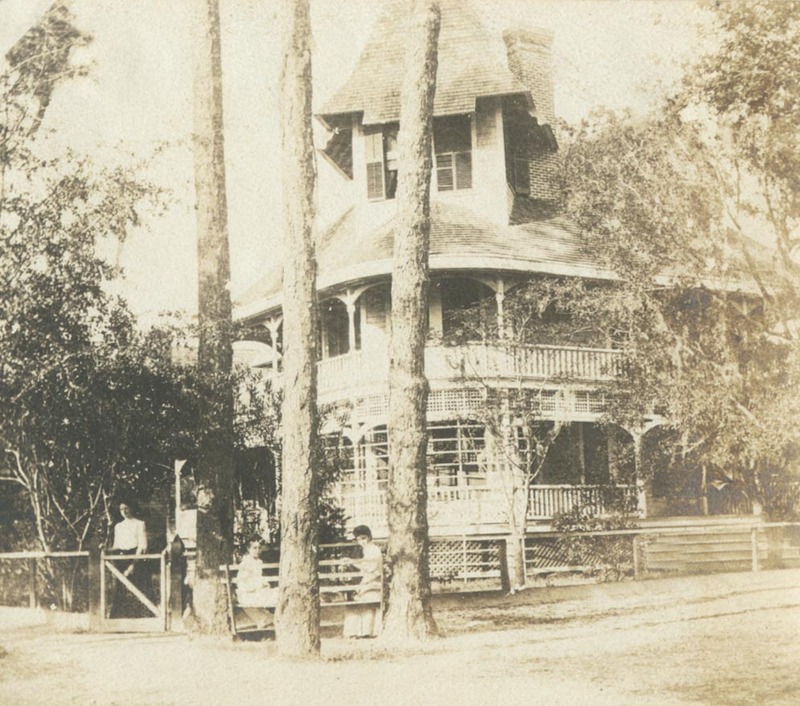 On the desk was her typewriter and a few necessary reference books; behind her was a glass door which led to a small un-roofed upper porch set in the midst of trees in which played birds and squirrels. 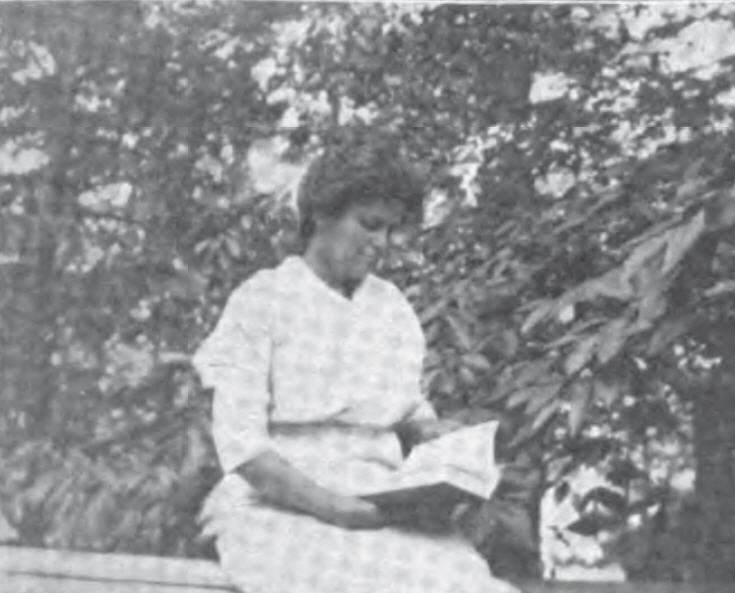 Grace reading on her favorite porch. In addition to describing Grace’s workspace, Hilda told the story of how Grace’s first books were published. 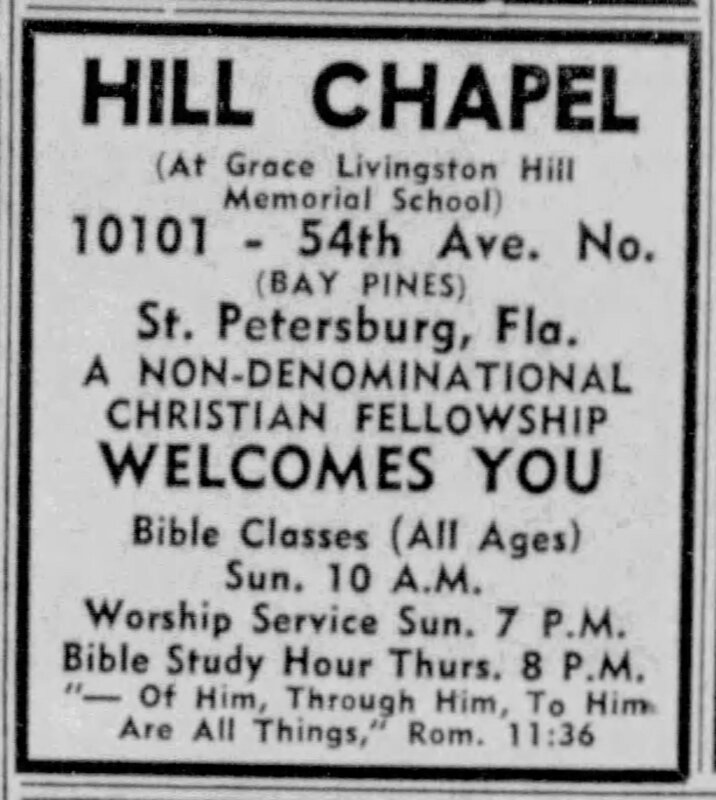 Sprinkled throughout the article are hints of Grace’s strong Christian beliefs and the work Grace did for those in need, the Sunday school classes she taught, the children Grace “adopted,” and her commitment to The Christian Christian Endeavor society. 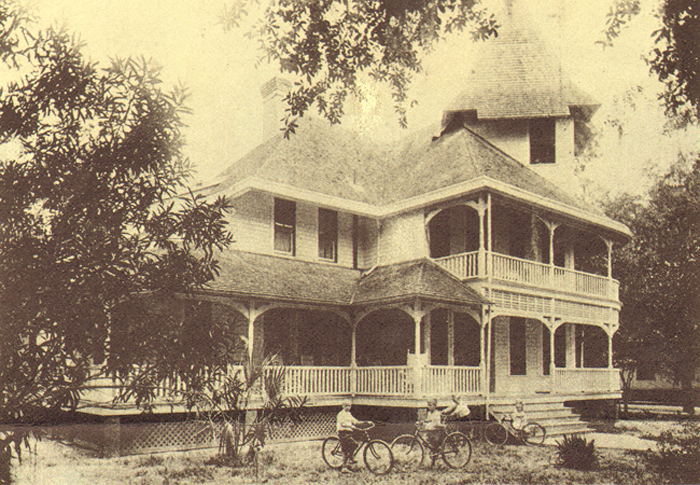 Grace working out-of-doors at her home in 1915. 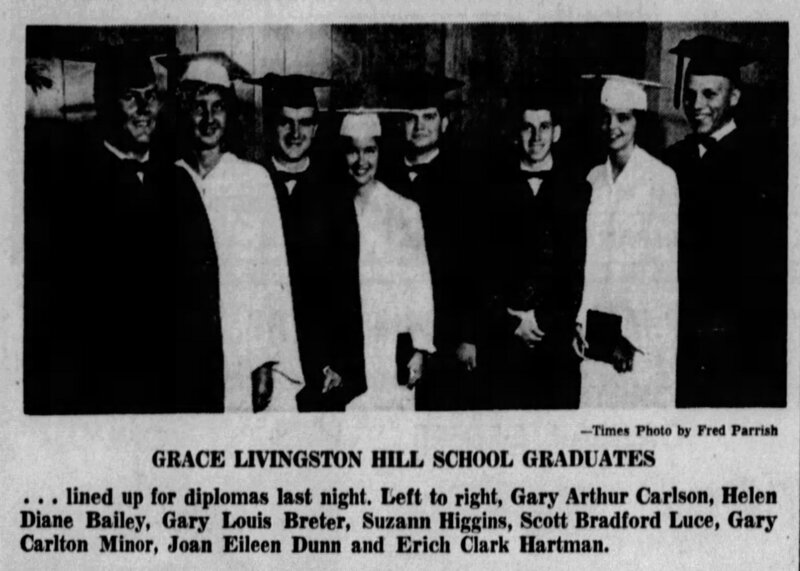 The second article was written by Norma Bright Carson and provides some insight into Grace’s personality and the impression she made on the article’s author. You can read both articles right now by clicking on the image below.